Nasal polyps are soft grape-like and sometimes teardrop-shaped growths on the lining of your nasal passageways or sinuses. They are painless and noncancerous but, if large enough can lead to difficulty in breathing, a loss of smell and sinus infections. How Do You Get Nasal Polyps? Nasal polyps can result from constant (chronic) inflammation of the nasal membranes, infections, drug reactions, and even disorders related to your immune system. 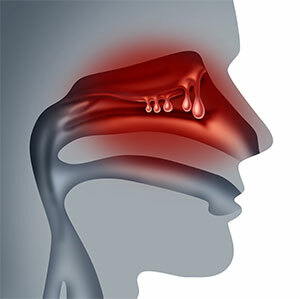 However, allergy problems are usually the source for nasal polyps perhaps more frequently than chronic infection. Why we get nasal polyps is somewhat of a mystery. Some scientists believe that those who have nasal polyps indicate a different type of immune response and chemical marker in their nasal membranes than those who don’t have them. Who’s at Risk of Getting Nasal Polyps? Nasal polyps can form in males or females of any age; however, they’re more prominent in young to middle-aged adults. As mentioned, they can form in your nasal passageways or sinuses but most commonly appear near where your sinuses drain into your nose. It’s more common for nasal polyps to appear due to chronic sinusitis which is an inflammation of your nasal passageways or sinuses lasting more than 12 weeks. Some ENT doctors prescribe corticosteroid nasal sprays to reduce polyp size or to eliminate the polyps altogether. If the nasal corticosteroid isn’t completely effective, some doctors may follow-up with oral corticosteroids, or in severe cases, an injectable corticosteroid. We have found that, in most cases, nasal polyps are not eradicated by medication. In fact, only Stereotactic Endoscopic Sinus Surgery will be completely effective in fully removing the polyp and its base of origin in the nose or sinuses. 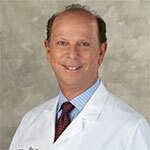 Dr. Alan S. Berger, founder of BergerHenry ENT Specialty Group, pioneered Endoscopic Sinus Surgery in the Delaware Valley. Dr. Berger not only offers a long-lasting, safe and gentle cure for chronic sinusitis but does it with no expected bruising, swelling, or nasal packing. When he and his colleagues use stereotactic image-guided surgery (IGS) in conjunction with endoscopic sinus surgery, they are able to safely and effectively remove nasal polyps permanently. Similar to Endoscopic Sinus Surgery, Stereotactic Endoscopic Sinus Surgery is a minimally-invasive outpatient surgical procedure performed without the need for nasal packing, bruising or swelling which allows for a fast recovery and a return to normal activities in a day or two. During Stereotactic Endoscopic Sinus Surgery, we are able to map a three-dimensional view of the sinus cavity with a CAT scan of the sinus which allows us to more accurately detect nasal landmarks and provide you with a more effective surgical outcome. BergerHenry ENT also offers a non-surgical procedure for patients who suffer from repeat nasal polyps. The procedure is performed with the SINUVA™ (mometasone furoate) Sinus Implant. SINUVA is proven to reduce polyps and nasal congestion and obstruction. SINUVA is a sinus implant that treats nasal polyps without surgery. During a routine office visit, we will use topical and/or local anesthesia to numb your nose and sinuses. SINUVA is then placed in the sinus cavity through the nostril. The most common adverse reactions observed in a clinical trial were bronchitis, upper respiratory or middle ear infection, headache, light-headedness, asthma and nose bleed. SINUVA is indicated for adults with nasal polyps, 18 years of age and older, who have had ethmoid sinus surgery. If you’d like to learn more about treatment of nasal polyps with SINUVA, please schedule a consultation with us. If you have a known hypersensitivity to the mometasone furoate drug or any of the ingredients in SINUVA, do not use SINUVA. Hypersensitivity reactions, including rash, itch, and swelling have been reported with use of steroids. If steroid effects such as Cushing Syndrome and adrenal suppression appear, consult your ENT doctor. As with other endoscopic sinus procedures, there are risks associated with the insertion or removal of SINUVA. SINUVA should be inserted by physicians trained in otolaryngology. Discuss risks related to insertion or removal of SINUVA with your ENT doctor. Your ENT doctor will monitor the nasal tissue adjacent to the SINUVA Sinus Implant for any signs of bleeding, irritation, infection, or perforation. SINUVA should not be used in patients with nasal ulcers or trauma. The most common adverse reactions observed in clinical studies were bronchitis, upper respiratory or middle ear infection, headache, lightheadedness, asthma, and nose bleed.